Everyone loves animals. Do I hear a no? Okay, there may be some people who dislike them, but majority of the world's population love animals and some people even have them as pets at home. Be it parrots, guinea pigs, cats, dogs or even lion cubs, there are a variety of animals and birds that can be kept as pets at home. However, dogs seem to top the pet list worldwide. The way they yelp for food, their bum wobbling when they play, their sad face for locking them in the kennel, the excitement they show when they see you after long hours, getting petrified of their own fart noise, hiding under our legs when lightning strikes and much more. Can you name one thing that you don't find to be cute in your furry ball of joy? Initially, they might be a headache; but, they capture our hearts soon enough and become a part of our family. 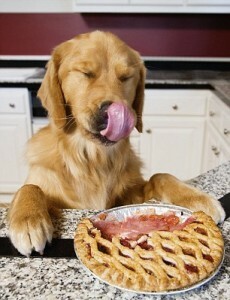 With so much ‘dog'ertainment that we get, the least we can do is to tend to their needs. Once we bring them home, they are under our protection. It is important for us to know what is right and wrong for the puppy's growth. If you are a first timer, here are a few essential tips that will help you take good care of your four-legged buddy. Your pet might be a part of your family, but he is still an animal. It is mandatory to keep his things separate from yours. 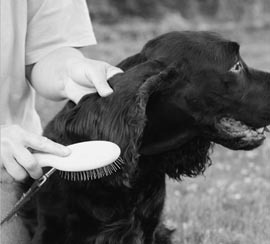 Feeding bowl, water bowl, comb, brush, shampoo, towel, collar and leash have to be washed regularly and kept aside. Do not mix your stuff with his. It is not good for your health and your puppy's. Did you puppy-proof your house? It is important to puppy-proof your house, lest it keeps on chewing your stuff during its teething phase. Keep things at a higher level so that the naughty little one is unable to reach there. 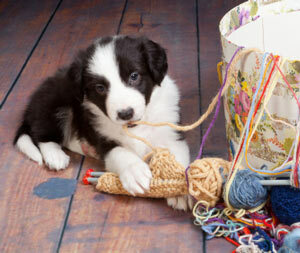 Be it kitchenware, shoes, clothes, combs or the kinds; don't make it accessible for your puppy. Do you take him to the vet regularly? 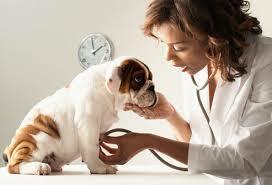 Initially, your puppy needs a few vaccinations to ensure that doesn't face any health issues. Also, even if he is in the pink of health, make sure you visit the vet on a regularly basis, mainly because, even though he may seem fine he doesn't ‘talk' to tell us his invisible body problems. Do you groom him from time-to-time? If your puppy is furry, it is important for you to groom him from time-to-time. Otherwise, his hair can easily get knotted up and give him a lot of pain when you decide to sit one fine day to comb his fur. Also, clean and bathe him frequently as per the vet's instructions. Make sure you keep a tab of fleas and other pests that may be clinging on to your pet's body. 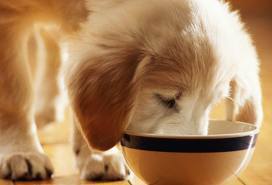 Do you know that human food is toxic to your puppy? By feeding your puppy with food that you consume, you are intoxicating him. It might be difficult for you to gobble chips when he is sitting right in front you waiting for you to throw him at least one piece. But, don't feed him. When you are eating, either keep him in his kennel or train him to not ask for your food. Having a dog as a family member is a wonderful feeling. You can love him or abuse him; but, at the end of the day, he will still love you unconditionally. Let's not do the latter, and be faithful to him, as he is to us.